Givenchy's original masculine fragrance is a rich citrus fragrance. 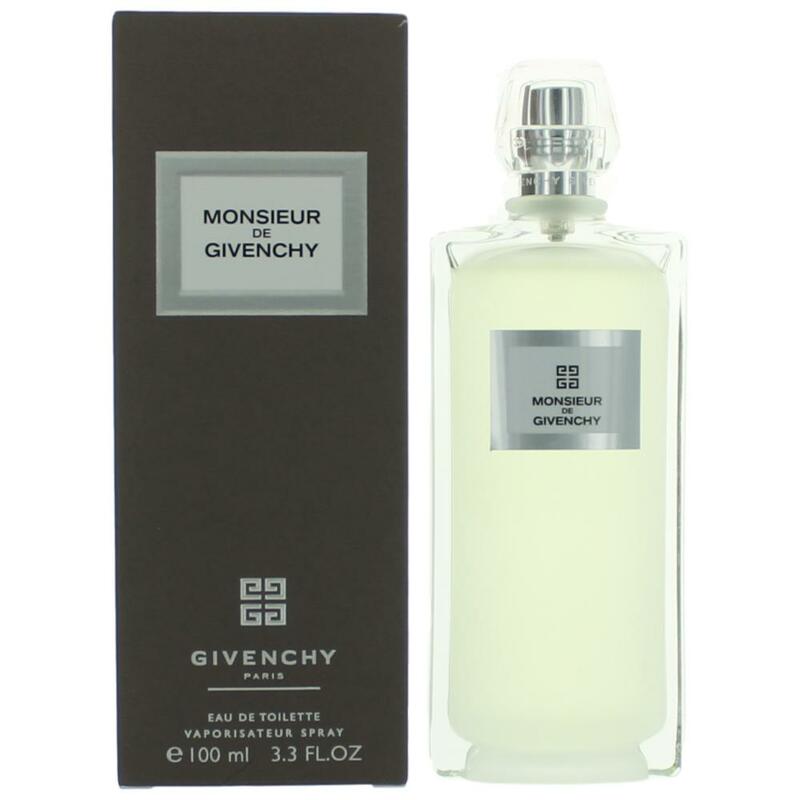 There are 58 reviews of Monsieur de Givenchy. This fragrance is reminiscent of such an innocent and elegant time in my life. Monsieur de Givenchy was my coming of age scent, before the social revolution of the late sixties, early seventies, changed all concepts of sophistication. I guess young people today may call it the “Mad Men” era, but to me it was just life growing up in New York City. A suit was a necessity going out in the city, and Pierre Cardin, Rogers Peet, and J. Press were my haberdashers. Picking up my girlfriend on 54th Street and drinking Whiskey Sours at The Top of The Sixes were accompanied by Monsieur de Givenchy, and although the new formula is a ghost of the class of the original scent, my memory can still revert back to my teens, and the hopes and dreams of the baby boomer generation. Who knew what social change lay ahead? History remains the past, but a fragrance can bring the past into the present. Monsieur de Givenchy is a scentimental journey back to thin silk ties, Weejen Cordovan penny loafers, cuffed pants, camel hair coats, and tab collars. Life was going to be grand. A nice lemon soapy citrus to start which is followed by lavender and pepper. As time goes by you get a subtle hint of civet which adds character to the scent. I can also pick up woods and subtle floral's. A lovely discreet gentlemen's cologne that has class and character! Monsieur de Givenchy is a fragrance created on the heels of a predecessor, in much the same way competing house Guerlain's Vetiver would be a then-modern take on the emerging category of "vetiver masculine" and like Guerlain's scent, wasn't necessarily an attempt at outdoing what came before, but rather just place a unique spin on the style. The aromatic citrus was one rare instance where the chypre-type actually worked for masculine composition, and ever since it gained popularity at the end of the 40's, most of the prominent French design houses would do their own take on it, with American cosmetic companies copying them, and most of these being debut masculines for their respective houses regardless of what side of the ocean they were on. This style remained popular into the mid-seventies until the dry citric chypre was finally thwarted by the more malleable fougère. In retrospect, Givenchy's debut male chypre feels closest to the Arden for Men line (1957), not because it is an attempt at duplication like them, but because it has the same dryness-focused nondescript structure. It wasn't the wild virility bomb of Moustache Rochas (1949) or the lemony YSL Pour Homme (1971), but neither was it as herbal or soft as Dior Eau Sauvage (1966) and Guerlain Habit Rouge (1965), respectively. Simply put, this scent is a careful balancing act in a bottle made possible by what must have been a fastidious amount of formulation by the sadly unknown perfumer. Monsieur de Givenchy would take lessons from both the the skank from the early Rochas entry and the petigrain-soothed restraint of the Chanel Pour Monsieur (1955), sitting somewhere firmly between them in terms of masculinity and etiquette. The dry lavender and lemon show through as expected, with the oakmoss and sandalwood being less heavy than the Chanel, and a pang more of the civet, but still not a whole dollop of it like the Rochas, which makes this feel like a chypre-themed compromise in a bottle. The whole thing is light, airy, aromatic, a bit mischievous in the civet usage, and definitely more of an enhancing scent than a dominant fragrance meant to mask all indiscretions, so it's easily layered with something else or worn on fabric for a longer citrus sustain. It's romantic in the French ballroom sort of way, and is the perfect aromatic citrus for the person who wants to experience the lowest common denominator between all the various varieties made around this period. It certainly isn't my favorite, but from an objective point of view, it does have a little bit of everything in equal amounts that typify what a masculine chypre was at the time, so for the person not wanting to spend a lot of cash tracking down all of these old kings of French design, it serves as the least risky entry point. I find that this is too weak to really make a full day wear out of it, so unless you want to carry the bottle, keep this one as a weekender. Another less-evident comparison would be to Avon's Tribute for men (1963), a much more obscure offering that would also be a debut masculine (of sorts) and come several years after this. 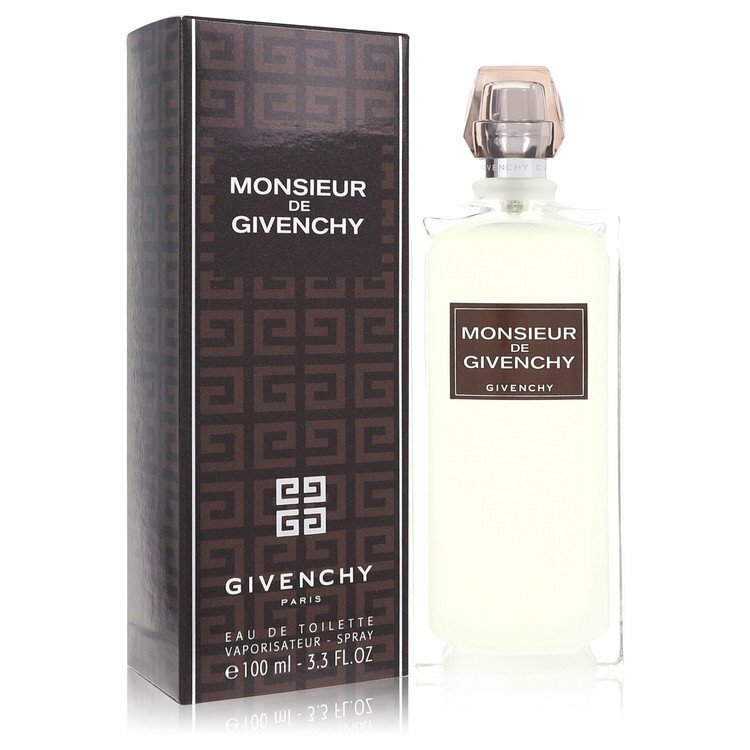 If Monsieur de Givenchy was the median French chypre for European men or sophisticates elsewhere, then Tribute would become it's reverse-engineered American sibling, with the former's immaculate sense of balance spun off in favor of a more-downmarket approach that thrusts the citrus zest and woodsy warmth ahead. It's almost funny that in describing this scent, I've had to use so many comparisons. It really is like the Goldilocks of aromatic citrus masculines: everything is "just right" and as a result it fails to have any unique characteristics outside of this averaging of notes. It's not quite a redundant addition as chypre fans will appreciate it's immaculate construction whether or not they have more than one of the other selections, and sometimes you just want something that is quality without quirkiness, fanciness without fussiness, and maybe that's what the makers of Monsieur de Givenchy were on about all this time. The jack of all trades chypre, and master of none. There was a "Haute Concentration" version of this released in the 80's, which is really just more oomph but the same smell, so I wouldn't worry about it unless you are a collector as it didn't survive the 80's. Simple, nondescript, but classic debut very typical of the decade in which it was released, and right at the tail end of it too. 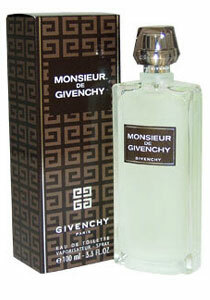 I'm sampling vintage Monsieur de Givenchy again and I love it. I feel like it's arguably redundant in a collection well stocked with vintage Chanel Pour Monsieur (Chanel for Men). I also feel like Gucci Pour Homme (1976) covers this same ground. If I were to do it again, I might get a bottle of this instead of backing up Chanel for Men, although I'm not sure: this is lovely, but I might get even more oak moss from Chanel for Men. Overall, though, I think the Gucci, the Givenchy, and the Chanel would work equally well, or nearly so, for reliable, office-friendly, oak moss fragrances. Lovely citrussy, lavendery scent which reminds me of a more subtle Aqua de palma. This is heartbreakingly hard to get hold of in the UK which is a real shame as it just screams understated class. The key to what makes this aftershave shine is the drydown, in which the hint of the citrus and powdery flowers linger over a delightful woody base. The scent is low on projection -but that's the point of this one, it's something to share with those you're close to. If Pour Monsieur is an old time movie star with immaculate tailoring and slicked back hair, Monsieur de Givenchy is the ruritanian governor in tweeds. A Shout Out To Monsieur de Givenchy! Monsieur de Givenchy, what year(s)? Suggestion: niche version of vintage Chanel pour Monsieur or vintage Monsieur de Givenchy? What rendition of Monsieur de Givenchy is this?